Adrián was born in Málaga (Spain) in 1991. He received a BEng in Industrial Engineering from the University of Seville in 2014. During his BEng he undertook two specialisations; one on Automation and Robotics and another on Electronics. While he was doing the 5th year of his degree he worked as a research assistant for the department of System and Automation. 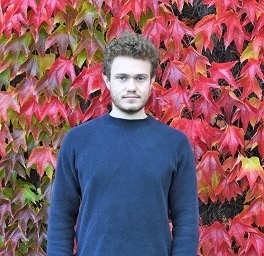 He researched the field of computer vision and wind forecasting and wrote his thesis supervised by Prof. Teodoro Álamo Cantarero about convex optimization algorithms apply to MPC for tracking. 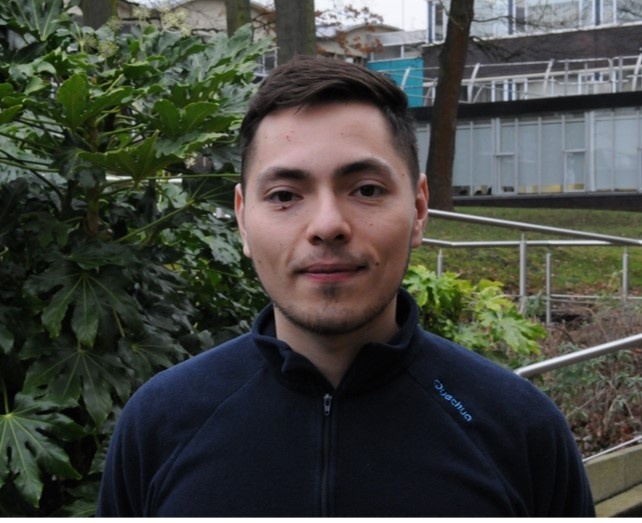 Adrián is undertaking a PhD in Heriot Watt University as part of the CDT in Embedded Intelligence. 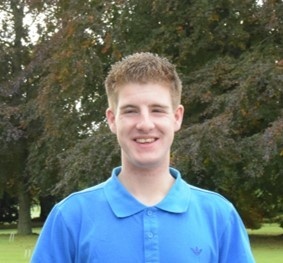 The PhD project, sponsored by Moredun Ltd, is entitled “Smart sensors for detection of lack of appetite in cattle”. This project proposes to design, manufacture and test a smart sensor to be inserted in the collar or any other judicious places of cattle to detect the absence or reduction of mastication as a clinical sign of symptom of disease. 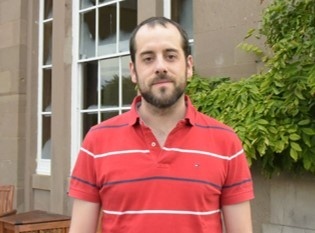 The project is supervised by Dr Paul Record at Heriot Watt university. Mateo-Segura, Carolina, A. Georgiadis, Adrian Ayastuy Rodríguez, Ryan Bahr, Manos. M. Tentzeris, Ana Collado, and G. Goussetis. 2017. “3D Printed Bifocal Lens Antenna For Multi-Beam Applications.” In 38th ESA Antenna Workshop on Innovative Antenna Systems and Technologies for Future Space Missions. Noordwijk, The Netherlands. Lorente-Crespo, Maria, Adrian Ayastuy Rodriguez, G. Goussetis, and Carolina Mateo-Segura. 2017. “Hemispherical Luneburg Lens Antenna With Integrated Linear To Circular Polarisation Converter.” In 38th ESA Antenna Workshop on Innovative Antenna Systems and Technologies for Future Space Missions. Noordwijk, The Netherlands. Faerber, J., G. Cummins, S.K. Pavaluri, P. Record, A.A. Rodriguez, R. McPhilips, H. Lay, et al. 2017. “In Vivo Characterisation of a Conformal Antenna for Capsule Endoscopy.” IEEE Transactions on Biomedical Circuits and Systems TBA (TBA): TBA. Ayastuy Rodriguez, Adrian, Paul Record, and Fiona Kenyon. 2017. “Novel Activity Monitoring System Based on Smart Collar and Variational Bayesian Learning of Multivariate Autoregressive Hidden Markov Models.” In 8th European Conference on Precision Livestock Farming, 802–11. Nantes, France. Pantazis, Dimitrios, Adrian Ayastuy Rodriguez, Paul P. Conway, and Andrew A. West. 2016. “An Application of Autoregressive Hidden Markov Models for Identifying Machine Operations.” In 14th International Conference on Manufacturing Research, Loughborough University, 193–98. Loughborough, United Kingdom: IOS Press. doi:10.3233/978-1-61499-668-2-193. 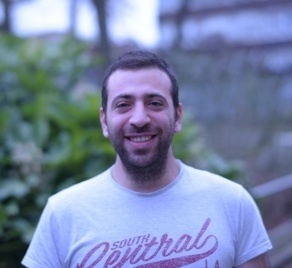 Dimitris received his Diploma in Electrical and Computer Engineering in 2014, from University of Patras, Greece. Following receiving his diploma, he worked for a short period as a visiting researcher at King Abdullah University of Science and Technology (KAUST), KSA. 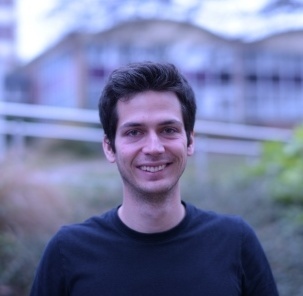 Afterwards, Dimitris joined the CDT in Embedded Intelligence at the University of Loughborough, UK. Other previous work experience includes working as an electrical engineer for Hellenic Petroleum S.A. and as a website designer and developer for Odotechniki L.T.D.. His main research interests include embedded systems, wireless sensor networks and data mining techniques. 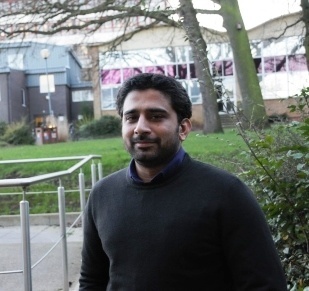 His PhD research project theme is related to Machine-to-Machine (M2M) Wireless Intelligence, aiming at using and advancing embedded intelligence in mobile devices in order to design and further develop mobile intelligent services for manufacturing. It is co-supervised by Prof. A West and Prof P Conway sponsored by the High Speed Sustainable Manufacturing Institute (HSSMI). I completed my undergraduate masters at Loughborough University in Mechanical Engineering having also taken a placement year where I worked at Perkins Diesel Engines. My PhD Title is Coherent Measurement of Surface Geometry on a Large Scale. The aim of the research will be to use coherence measurements of large engineering surfaces, such as turbine blades, to detect defects in the order of the wavelengths of light. The method proposed for this is aperture synthesis using multiple digital holographic recordings. The project is sponsored by Taylor Hobson and supervised by Prof Jeremy Coupland. 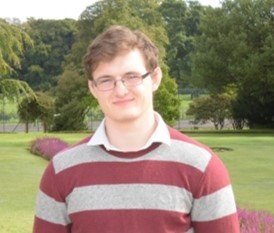 Joe received his MPhys in Astrophysics from the University of Liverpool in 2010. 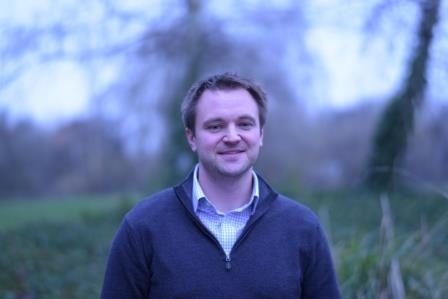 Following this his interests turned towards energy efficiency and sustainability and he undertook an MSc at the University of Nottingham studying Sustainable Energy Engineering. 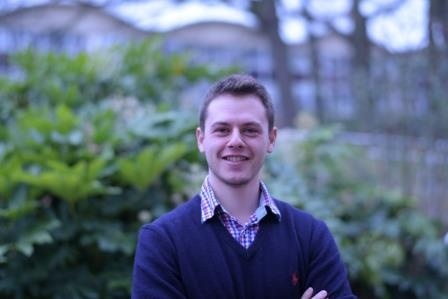 Graduating from Nottingham in 2013, Joe began working as Technology Development Manager at Far-UK where he worked within the Collaborative R&D team. 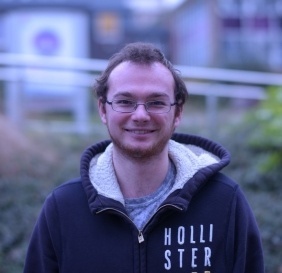 Joe is now undertaking a PhD as part of the CDT in Embedded Intelligence at Loughborough University. The high level aims of the PhD project are to develop and model the manufacturing process to produce variable porosity foams. These variable density materials have a range of potential structural applications from automotive to biomedical. The project is sponsored by Far-UK and supervised by Dr Carmen Torres-Sanchez. I graduated with an MSci in Computer Science at Loughborough University in 2014. The aim of my PhD, titled ‘Human-computer interactions within a car environment’, is to improve the usability and safety of cars while a user is interacting with it. Most people are presented with the question that they do not want: ‘What do I do now?’ This research is an attempt to alleviate, or, even, remove, this question. The project is sponsored by BMW and supervised by Dr Mashhuda Glencross. I hold a BSc of Computer Engineering from Al-Azhar University in Cairo. I was an exchange student at University of Arkansas, USA where I did an internship and at Nanyang Technological University in SIngapore. I worked for two years in a research center in Italy in EU funded project in the field of Smart Mobility. I won several competitions and awards in the field of computer science and mobility as a student and while I was working. I am currently working with BMW on my PhD titled "Driver State Modelling in Partially Automated Driving Cars". Pawel Ladosz graduated with an MEng in Aerospace Engineering from the University of Manchester in 2014. 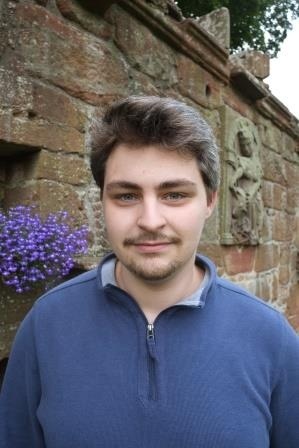 As a student, Pawel was president of Unmanned Aerial Vehicle (UAV) Society and Pear Assisted Study Scheme leader. Additionally, he was involved in two summer projects, the first one involved measuring atmospheric O3 using a UAV and second one focused on the design of a solar powered UAV. 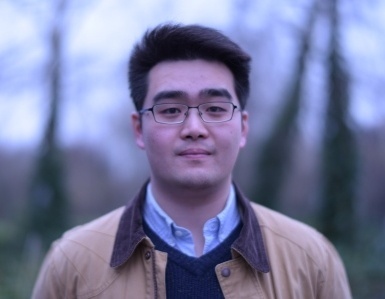 His current PhD project, supervised by Professor Wen-Hua Chen, is related to UAVs. His research interest lies within UAVs safety, control and design. 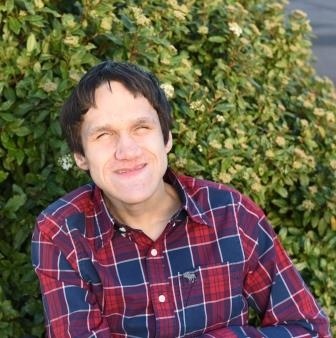 In his spare time Pawel enjoys cycling, reading and playing chess. I graduated June 2014 with a MEng in Electrical and Electronic Engineering degree from Heriot Watt University. My PhD title is Microwave Sensor for the Food Industry which is related to the design, manufacturing and testing of a microwave sensor within this industry. It is intended to be part of the food processing lines with the intention to provide information with regards to the compositional change of product passing through the pipe. The project is sponsored by Macphie and supervised by David Flynn. 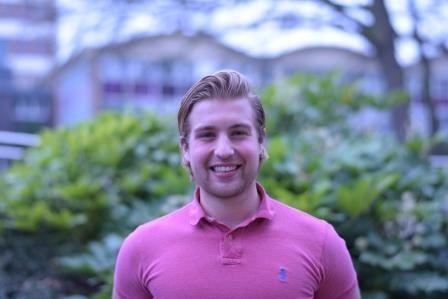 Adam received an undergraduate MSci in Mathematics from the University of Bristol in 2015. 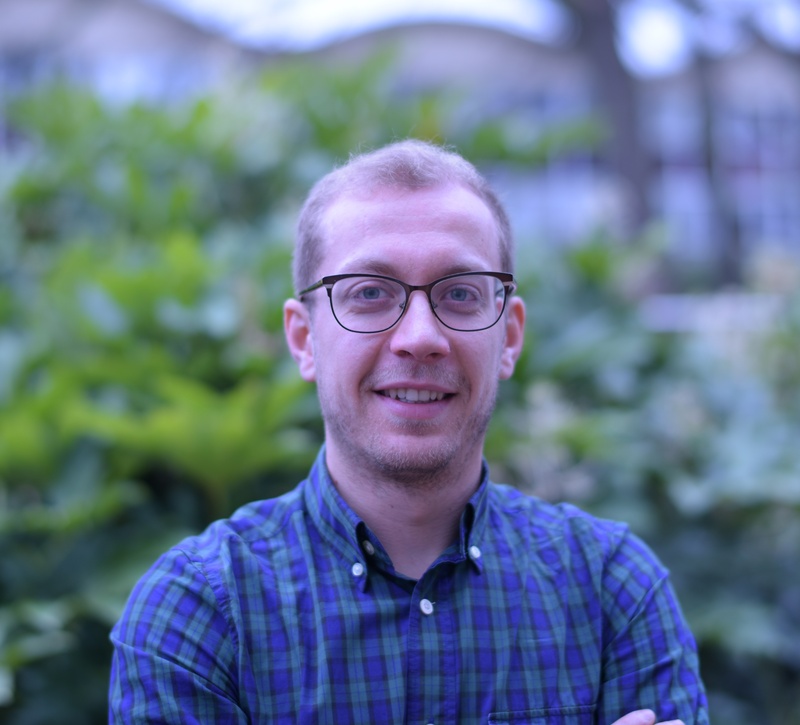 His PhD title is Ink-Jet Printing Antennas on 3D Curved Surfaces, and his research interests include direct-write manufacture, surface topography, and antenna design. I graduated from the Department of Electrical and Computer Science Engineering at the Aristotle University of Thessaloniki in Greece. Along with my studies, I was involved in extracurricular activities. From October 2012 to September 2015, I was a member of two Formula Student teams and was involved in many activities. I was a finite element engineer in a Formula Student team called ART and, after a year, became cofounder of a new established FSAE team called Aristurtle. During my internship period I gained more experience in the field of automotive as I worked for three months at Silberform, an upcoming company located in Stuttgart. Particularly, during my training, I learned how to design with software Catia V5 and I participated in many projects. Mainly, I was responsible for designing an adjustable hydraulic system for the wheel axis and an electric drive system of an expedition Porsche chassis. The proposed monitoring system combines dielectric sensors with thermocouples to provide information about frontal flow and the degree of cure of the resin. Two implementations of flow sensors are proposed; a global linear sensor and a network of local spot sensors. As regards the location of the sensors can either be tool mounded or embedded at tool surface depending on part’s complexity. Integration and packaging techniques for the designing of the sensor and the tooling will be used to increase sensitivity and reduce the inevitable distortion being introduced by the sensors. This project is sponsored by TWI and is supervised by Dr. Paul Cunningham. Also, is part of a Clean Sky research program and consists of three main partners directed by a Topic Manager. The overall concept addresses the development of a stochastic simulation tool, which will be implemented on a pilot RTM line, where evaluation and NDT demonstration runs will take place. 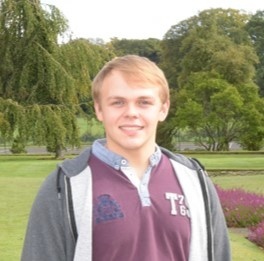 David received a BEng in Electrical and Electronic Engineering for Heriot-Watt University in 2015. His undergraduate dissertation was focused on the automatic detection of vessels in a maritime environment from video images. Areas of interest include embedded systems, sensors, robotics, and microsystems. The PhD project work involves the design and development of galfenol plated devices for the remote sensing and positioning of objects. The project is in collaboration with Renishaw and supervised by Paul Record. I have always had an interested in Mathematics and Physics, being able to apply my theoretical knowledge into practical applications has been a strong ambition. After successfully completing a degree in Mechanical Engineering (MEng) I found myself very fond of the automotive industry. For my PhD I secured a project in collaboration with the CDT-EI and AVL. The main goal of the project is to develop a multi-physics numerical model to analyse the tribo-dynamics of bevel gears. The automotive industry is growing and with strict global emission regulations being put in place, it is important for automotive manufacturers to adhere to the regulations and meet customer satisfaction. Being able to fully understand the lubrication of gears is highly desirable as friction losses contribute to high exhaust emissions. It is also important to understand the dynamics as interacting physics with lubrication. In addition, it is measure of noise, vibration and harshness (NVH) refinement. This project will deliver the required predictive and analysis tool to tackle abovementioned issues. This project is sponsored by AVL who specialises in power and drivetrain simulation and testing, based in Austria, Gratz. I have a bachelor in Mechanical Engineering from University of Engineering & Technology, Lahore Pakistan. Where, I joined the same department as lecturer in Nov-2009 after completion of undergraduate studies. I completed my masters in Engineering Rhelogy through Erasmus mundus masters scholarship from KU Leuven Belgium, Uminho Portugal and ULj Slovenia in 2012. I took a study leave from UET Lahore to pursue for doctoral studies at Loughborough University. I am working in the field of tribology, optimising the lubricant surface system to improve internal combustion engine efficiency. Various experimental techniques are required to investigate the fundamentals of friction from the nanoscale through to macro scale effects observed at system level. 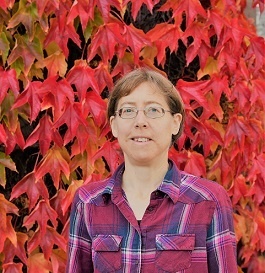 Melanie studied at the University of Applied Sciences in Stuttgart, where she achieved her BSc in Mathematics in 2013 and her MSc in Software Technology in 2015. 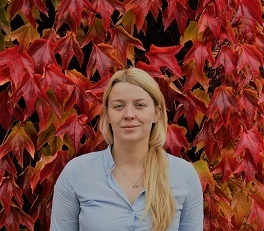 She wrote her Masters thesis with the High Speed Sustainable Manufacturing Institute (HSSMI) on data visualisation towards an augmented manufacturing reality. 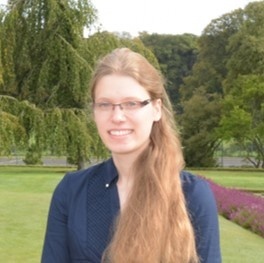 Melanie joined HSSMI as an Engineer after finishing her Masters degree, where she worked on various research and commercial projects until July 2017. 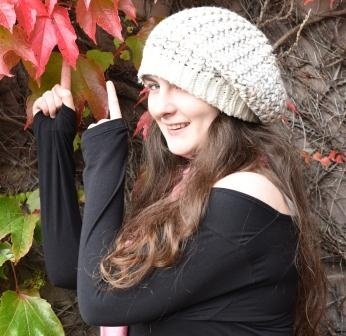 Melanie joined the Centre as a PhD student in October 2015. 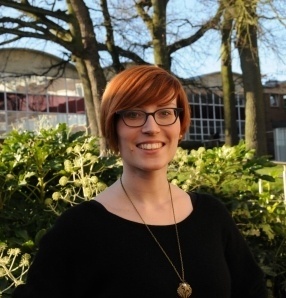 Her research is sponsored by the Doctoral Training Centre in Embedded Intelligence (CDT-EI) and HSSMI. The vision of her research is to improve the energy efficiency of an assembly system based on information acquired and actions taken during production ramp-up. Therefore, a decision-support framework will be developed to support a human operator to make energy saving adjustments during that phase. This will require to capture process and equipment settings in combination with energy consumption data. This research aims to develop a model for ramp-up that will allow to represent the system, its process and equipment adjustments as well as the corresponding energy consumption. Additionally, this work will investigate how human knowledge can be captured and machine learning techniques can be used to recommend potential energy saving opportunities to the user. Melanie's research interests lie in sustainable manufacturing, machine learning and decision support. In 2015 I graduated from Imperial College London with an MSci Physics degree. During my final year I was involved in a project to control the temperature of a sensor for a geostationary satellite. The Masters’ project required me to produce a thesis titled: Thermostatic Temperature Control of a Magnetoresistive Sensor. The project was insightful and confirmed my interest in instrumentation and control theory, which is why I chose to do a PhD in control engineering. My PhD project investigates optimal transducer configurations, within diesel engines, using control systems. I completed a placement year at Babcock Marine and Technology where I worked in component design and analysis. My PhD is in the elastohydrodynamic lubrication in piston-ring pack assemblies. Two of the most important considerations in engine design are fuel efficiency and emissions. The piston ring pack accounts for a disproportionate amount of the total engine losses (up to 25% of parasitic), especially when considering the size of the component. The project aims to investigate both the frictional losses and the dynamic effects of the piston ring pack. The multitude of vehicles utilising the internal combustion engine globally provides the foundation of the engineering motivation behind the current study, with the penultimate objective being an increase in efficiency coupled with a reduction in emissions. I hold a BSc and MSc in Industrial Design engineering from the University of Twente. My MSc track was on Emerging Technology Design. During my BSc and MSc theses I researched Hybrid Design Tools under supervision of Robert Wendrich from Rawshaping Technology. Subjects of research involved real-time bimanual interaction in a 3-D mixed reality, as well as interaction enhancement using Automatic Emotion Recognition from motion in a design setting. My Phd involves the "Development of an ontology in biomimetics using concepts of classical problem solving". The research will be multi-disciplinary and includes subjects from biology, engineering and computer science. In 2015, I completed my MEng Aerospace Engineering degree at the University of Leicester and decided to move on to a PhD in metrology at Loughborough University. This was a direct result of working for the metrology company Etalon AG where I experienced the high-end engineering work that goes into metrology design first hand. My PhD title is “High-speed micro 3D metrology”. The aim of the research will be to develop and build a novel sensor which is capable of accurately measuring surfaces, and potentially the internal 3D structure of a transparent media, in a single exposure. This will eliminate the need for mechanical scanning as used in conventional scanners. The project is sponsored by Renishaw and is supervised by Dr. Pablo Ruiz. I graduated from Loughborough University in the summer of 2016 with a MChem degree. My Masters project was entitled ‘(Poly)aromatic Hydrocarbon Based Organophosphorus Complexes for Sensing Applications.’ This project introduced me to a number of applications of phosphorus chemistry, as well as developing my synthetic skills, leading to my decision to undertake this PhD project. My current PhD is working to improve and monitor the production of textile flame retardants. I graduate first of my class in my Bachelor degree in Cyprus in Mechanical Engineering. My bachelor thesis was a group project about “Synthesis of N-Type and P-Type Semiconductor Materials by Solution Processing Methods” and it is one of its kind. Then, I completed my master degree in Advanced Control and System Engineering in University of Sheffield. My master thesis focused on “Feather-like Sensor for Stabilizing Unmanned Aerial Vehicles in Turbulent Conditions” and I had introduced a completely new approach of stabilizing UAVs under turbulence. My PhD will focus on bi-pedal robots that will be made from new kind of actuators that will use less energy and will be lightweight. The actuators will be controlled from machined learning algorithms and deep learning in order to imitate the walking process of humans. My research interests involve all the disciplines that can combine bioinspiration and mechanical engineering. I enjoy working with robots and programming. I always seek for new ways to solve a problem that will be lightweight and more power efficient. 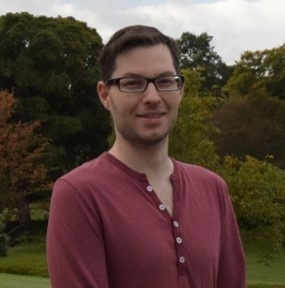 Darius Roman is currently a PhD Researcher as part of CDT in Embedded Intelligence based at Heriot Watt University majoring in Prognostics and Health Management from Big Data. 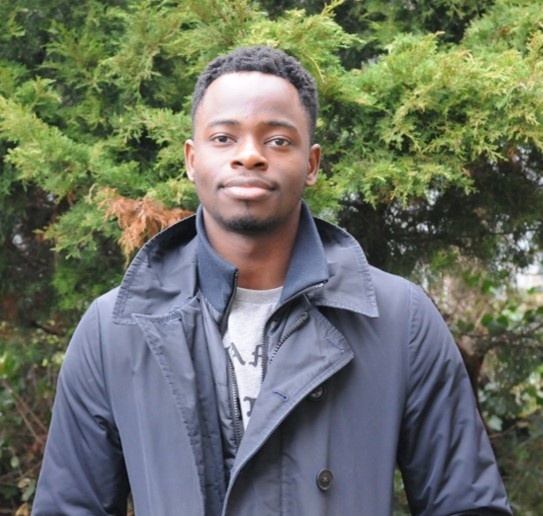 Prior to joining the Smart System Group at Heriot Watt University, Darius has been working as a Design Verification Engineer in the Oil & Gas industry where he was mainly responsible for FEA analysis and modelling of high pressure equipment. He holds a 1st class MEng Degree with joint honours in Mechanical and Electrical Engineering from the University of Aberdeen. 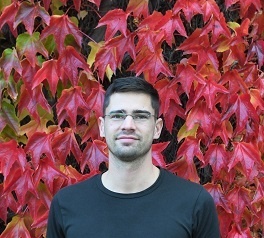 During his studies he joined the Institute of Robotics and Intelligent System (IRIS) at ETH Zurich as a visiting researcher where he developed a novel Catheter Cleaning Microrobot under the supervision of Prof. Bradley Nelson. The 6 months research project successfully concluded with a Thesis submitted at the University of Aberdeen. During his final years of master studies, Darius also developed an algorithm for the selection process of airfoils used in wind turbine rotors in order to improve their efficiency. 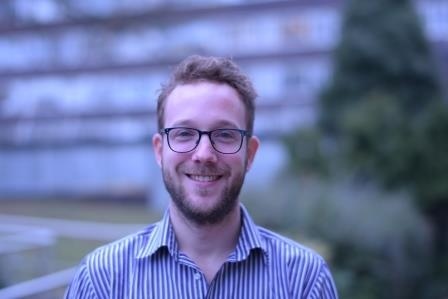 His PhD research project aims at using a fusion prognostics approach bringing together modelling, condition monitoring, prognostics and machine learning techniques in order to predict the remaining useful life in drill strings. The project is cosponsored by Baker Hughes, a top-tier oilfield service company with a proven track record of technology innovation. 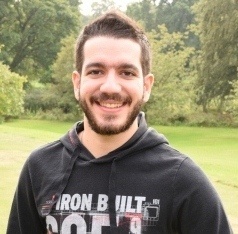 Darius’s research interests are big data processing using statistics, machine learning and artificial intelligence, prognostics and health management, modelling of critical assets, FMMEA and fusion prognostics. 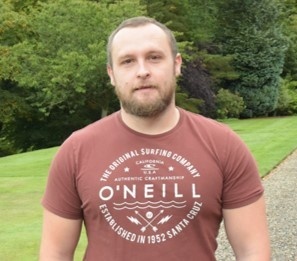 Darius lives in Edinburgh, UK where he enjoys various activities such as trail running, climbing and mountaineering in the Scottish highlands. Now he usually manages to read one book a month. 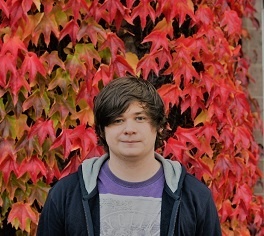 In 2015, I graduated from Loughborough University with a First class BSc in Computer Science. I then continued on at Loughborough to achieve a Distinction with my MSc in Internet Computing and Network Security. During my MSc, I worked with Rolls Royce on a project to convert text-based legacy requirements documentation to their equivalent requirements models. This project was to become the basis for my PhD, which aims to apply formal structures to these requirements, such that more advanced verification and simulation of the proposed system may become possible. My research interests include systems modelling, requirements engineering, software development, network protocols and routing, and wireless sensor networks. Gergely received his BSc in Electrical Engineering with Microelectronics specialisation at Budapest University of Technology and Economics. 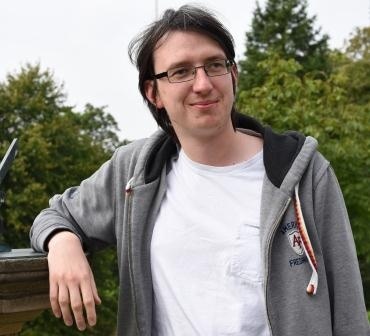 He won an Erasmus Mundus scholarship for the Smart Systems Integration Master course in 2014 and graduated with distinction from Heriot Watt University in 2016. Multimodalities – additional sensing capabilities such as RH or T.
Monitoring of the microphone lifetime. Increased lifetime of the microphone allowing the device to fail graciously whilst being able to extract the relevant information through modification of its inputs. Self test capability before and/or after assembly to simplify the current testing procedure. The project is sponsored by Cirrus Logic and supervised by Prof. Marc P. Y. Desmulliez. I graduated from the University of Kent in 2016 with a first class degree in Electronic and Communications Engineering. 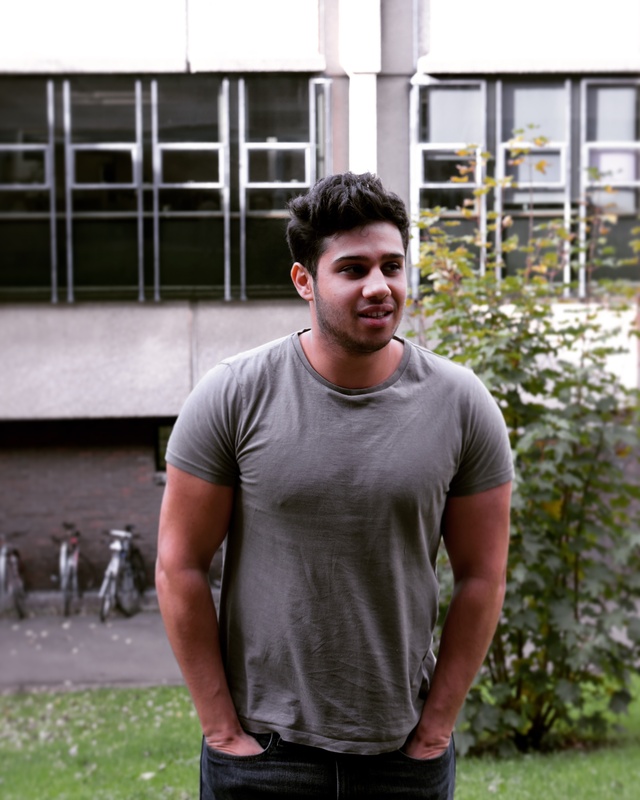 Throughout my undergraduate I was able to develop my interests in a lot of aspects of electronic engineering whilst also completing projects involving: robotics, the internet of things, big data and energy harvesting. I also gained a strong interest in communication networks particularly regarding mobile systems and antenna. My current PhD project involves the development of a next generation electronic bike whilst also integrating smart cities technology into the system This will help reduce the increased reliability of fossil fueled vehicles whilst also tackling major challenges regarding integrated mobility. I am very excited by the opportunity presented to me by the CDT and I am looking forward to developing my skills and acquiring new ones. In 2013 I got a Bachelor degree in Electronic Engineering from The Institute of Technology of Culiacan. My thesis project was Photometer for Cylindrical Scanning, it consists on build an illumination sensor to characterize the irradiance pattern of different light’s sources and make the algorithms to process and display all the collected data on a user’s interface. In got an MSc in optics at Optical Research Centre in Leon, Mexico in 2015. My project was Digitization of Solids Through Structured Light where I learned different techniques of optical profilometry using methods like phase shifting interferometry. Additionally, I get specialized in digital filter design and phase unwrapping algorithms. My PhD project at Loughborough University is called Synthetic Aperture Interferometry which the aim of the project is to demonstrate novel optical instrumentation for high-resolution inspection and precision measurement of large engineered parts. I graduated in Electronic Engineering in 2014 at University of Rome “Tor Vergata” with a thesis about the development of a telemetry system for a racecar. After a brief parenthesis in which I worked as a consultant in a Test Engineering team for Capgemini I took an MSc in Embedded System at Heriot-Watt University, Edinburgh for which I received a Distinction grade in 2016 with a dissertation regarding the use of battery management systems on mobile autonomous robotic applications. I have a solid and wide knowledge in Electronics with a particular attention to digital systems. I had the chance to study and learn the basic of Control Theory and its application with bio-inspired solutions such as Neural Networks. I have a very good knowledge of Embedded System both in their hardware and software applications. I enjoy programming particularly oriented to hardware. My previous experience brought me to have a good knowledge with automotive technologies and solutions. My PhD is about the development of a new generation eBike. It involves the design of a vehicle that aims to achieve a new level in terms of interaction and understanding of the user demands and needs. This project will cover a wide range of subjects from machine learning to smart cities integration, from pure mechanics to control theory. What we hope to realise is not just a bike that will help you commute from A to B but a device that can bring you a step into the future. I studied my undergraduate degree in Chemistry (BSci) at Loughborough University, graduating in in 2016. During my undergraduate degree, I also completed a placement at Reckitt Benckiser where I worked in the health innovation department working on feasibility projects for Nurofen, Gaviscon, Mucinex and Strepsils. My research interests are in the field of Nanochemistry and Nano-analysis, focusing primarily on nanopores and their behaviour. The project I will be working on will be developing nanopores for selective single molecule detection and characterisation. I graduated from Durham University in 2015 with a Masters degree in chemistry. As part of my degree I completed an industrial masters project on magnetic nanoparticles for MRI at High Force Research Ltd. During this project I developed the methods used for synthesising the nanoparticles, aiming to improve efficiency, reduce cost, and gain a deeper understanding of the chemistry behind the process. This sparked an interest in product and process development and collaboration between research and industry, which led me to the CDT in Embedded Intelligence. My PhD project involves research into novel methods of LNG measurement in order to overcome some of the challenges facing LNG production. This will help to reduce errors and uncertainty, and also provide accurate data to help improve health and safety, commercial, contractual and environmental aspects of the LNG value chain. The CDT-EI is a fantastic opportunity for me to strengthen my technical knowledge as well as develop valuable transferable personal and business skills. I graduated from Loughborough University in 2016 where I gained a 1st class degree in Ergonomics (Human Factors) Design. I have always been fascinated with a means to sustain an ever growing population's energy demands. 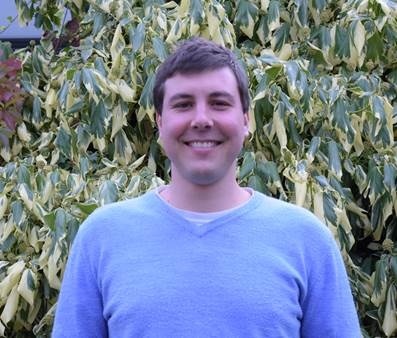 By chance, during my final year, I developed an interest in Systems Ergonomics, which coupled with my own personal interests, naturally lead me to pursue a PhD through the CDT with EDF energy. My PhD concentrates on systems safety within the nuclear industry, more specifically, a new theory of safety called safety-II. This theory states that by looking at what goes right within a system, you can understand what will go wrong before it even happens. The eventual aim is to implement safety-II principles into different areas of the nuclear industry to make it a safer industry, with the hope that the public are more accepting of the relative risk to benefit of nuclear energy. I graduated in 2014 from the University of Edinburgh with a BEng degree with joint honours in Electrical & Mechanical Engineering. I then went on to study for an MSc in Renewable Energy & Distributed generation at Heriot Watt university graduating in 2016. My MSc dissertation was titled “Control Algorithms for Distributed Energy Demand Response”, this dealt with the control of large collections of devices to provide demand response services to the electricity grid. My PhD project aims to use fusion prognostic methods for analysis of condition monitoring data from maritime assets, essentially dealing with predicting failure of system components. This project is in partnership with MacTaggart Scott and aims to develop accurate and useful information and predictions about the condition of operational maritime assets including “remaining useful lifetime” metrics. This has a focus on the high value mission critical hydraulic systems manufactured by MacTaggart Scott. I graduated from Loughborough University in 2016 with an MSc Engineering degree. My MSc project is focused on design cycle based air fuel ratio and blow-through estimator. This project was developing my interesting in control theory and simulation, which is why I chose to do a PhD in control field. My PhD project is focused on the development of a supervisory controller for a geographically distributed hybrid vehicle. I completed my MSc. in Mechanical & Manufacturing Engineering in may 2014 at the French University Arts et Metiers Paristech (ENSAM). I then did the Edison Engineering Development Program with GE Measurement & Control in Leicester. EEDP is a two-year technical leadership development program consisting of three rotational assignments as well as development and leadership skills. Rotational assignments are engineering projects driven by real Measurement & Control / Oil & Gas business priorities. My PhD Overview is: GE Druck manufactures pressure sensors that monitor liquid and gas systems for many industries including automotive, subsea, aerospace and industrial. The sensors need to interact with the physical stimulus and measure pressure inputs, while being protected from their harsh thermal, electrical, chemical and mechanical operating environment, in order to avoid damage to delicate components. In addition, electrical signal outputs need to be passed in and out of the sensor to monitoring equipment. Thus this project will explore new materials and methods for the packaging and interconnection of the sensing technology for efficient manufacture while ensuring the integrity of the device is maintained and that it continues to remain reliable in service. In 2014 I graduated from Dalian Maritime University in China (2010 - 2013) with a degree in Software Engineering. During the final year, I was offered the opportunity to complete my final undergraduate year at Loughborough University (2013 - 2014). For my final project I designed an application for an Omani company to detect air pollution through image processing. Between my undergraduate and master’s courses I undertook an eight week paid R&D project for BP and contributed towards a VR-based training tool for oil rig workers. BP took this work forward to a further stage in collaboration with Loughborough University, which applied for a Knowledge Transfer Partnership Grant.The following year I did a Master’s Degree of Advanced Computer Science under Professor Eran Edirisinghe’s supervision in Loughborough University. My Master’s project was for Apical Ltd and was to combine the output of all the sensors in a mobile device in order to predict user behaviour and the environment, to enable the device to respond accordingly. My PhD project is To develop video resolution upscaling algorithms that intelligently adapt to video scene content, environment in which the videos are viewed and devices used for display. 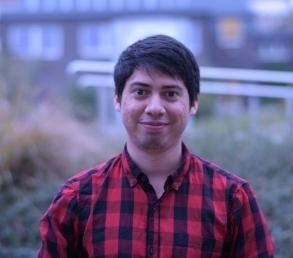 Cesar Angeles is an Electronics Engineer, currently studying a PhD within the Institute of Sensors, Signals and Systems (ISSS) at the University of Heriot-Watt. 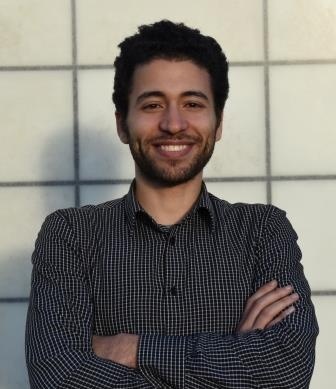 His research is mainly focused on the investigation and optimisation of the utilisation of pyroelectric devices for the acquisition, and rendering of data with machine learning algorithms for gesture applications. 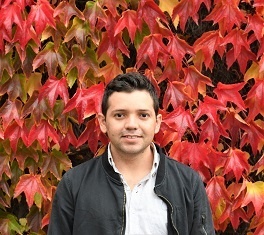 Cesar graduated with a BSc (2014) from Iberoamericana University (Mexico City) in Electronics Engineering and Telecommunications working on a speech recognition system for voice signatures extraction and identification. 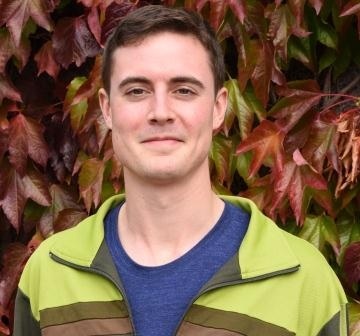 He holds an MSc in Nanoelectronics and Nanotechnology (2015) from the University of Southampton (England, UK) with a thesis in the Modelling of Electrodynamics in Photonic Quasi-Crystals. 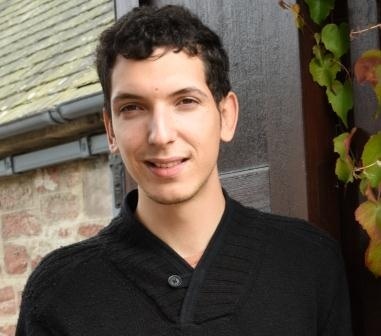 Also, he has performed research activities in the characterisation and application of memristive nanodevices for reconfigurable electronics at the same University (2016). His main interests range from novel device physics research as well as novel applications with them in embedded systems and machine learning. 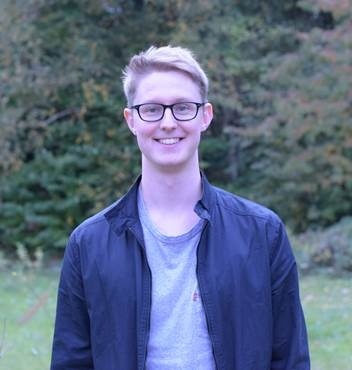 I completed an MEng in Product Design Engineering at Loughborough University in 2017 and also undertook a placement year at J C Bamford Excavators Ltd where I experienced three roles in Research, Design and Development. I also held a placement at Underhill Engineering Ltd where I worked in Engineering Operations. The initial aims of my PhD are to investigate feasible applications for SMART systems in excavations which will ultimately improve safety and productivity. The project is supervised by Dr Laura Justham and sponsored by J C Bamford Excavators. I graduated from the Polytechnic University of Madrid (UPM) with a 5 year degree in Telecommunications Engineering. Then I completed a MSc in System-on-Chip Design at the Royal Institute of Technology (KTH) in Stockholm, where I continued working as a researcher in the Mechatronics Department for 1 year following graduation. After that, I moved to China to work for a Spanish technology company, taking care of outsourcing, production and technology transfer for the company’s products. Now I’m undertaking a PhD as part of the CDT in Embedded Intelligence at Loughborough University. Sponsored by Airquick Ltd., a company specialised in train washing, the project aims to have a better understanding of the processes involved, as well as defining a methodology for evaluating the level of surface cleanliness. 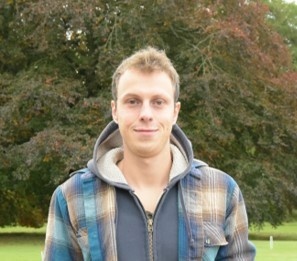 Lucas is a first-year PhD Researcher in the Smart Systems Group at the Institute of Sensors, Signals and Systems (ISSS). 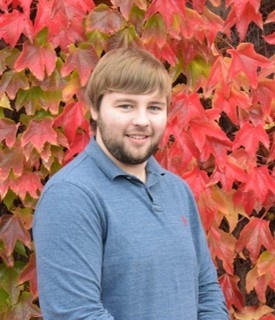 As a student of the CDT in Embedded Intelligence he is conducting research within the field of Prognostics and Health Management of Critical Assets. In 2017 Lucas graduated from the Technical University Bergakademie Freiberg, Germany as a Petroleum Engineer (Dipl. Ing.). 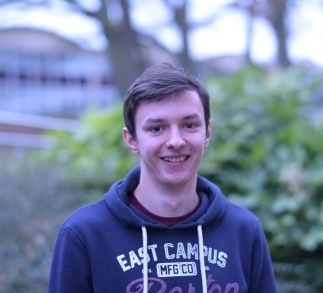 Holding a 1st class degree his studies focused on drilling- and production-engineering tasks. 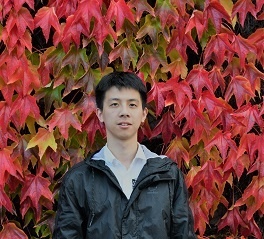 During a term abroad at the National Chung Hsing University (NCHU), Taiwan and multiple internships he became acquainted with numerical modelling and data processing. 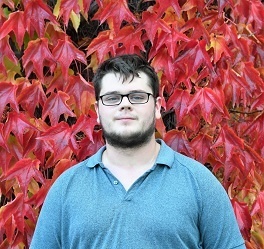 Within the scope of his final thesis, Lucas developed an improved approach to forecast hydrate formation and a novel method to supress the formation of hydrates during gas expansion. Both aspects where implemented into a software application, enabling field engineers to evaluate on-site the problems hydrate formation may cause. His PhD projects targets the key elements of Condition Based Monitoring (CBM) and Prognostics and Health Management (PHM). Various approaches are utilized and applied to the critical assets of the drill string, which is particularly exposed to a harsh environment making prognostics a decisive factor to allow for undisturbed operations. I graduated from Loughborough University in 2017 with a Masters in Chemistry (MChem). During my 4th year Masters project, titled “Novel Chemical Forensic Techniques”, I was able to review current forensic techniques used to detect fingerprints, while attempting to develop my own novel techniques to address the issues currently faced by forensic scientists. I was able to use transition metal ions as well as fluorescent materials to develop latent fingerprints on a variety of surfaces with a good degree of repeatability. The main aim of my PhD is to investigate the minimum amount of conformal coating is required to insulate circuit boards in order to increase efficiency and lower costs. I will predominantly be using polyurethane and epoxy resins. I completed a five-year Diplom (combining Bachelor and Master into one degree) in Traffic Engineering at TU Dresden (Germany) in four years, including studying and working one year abroad to gain international research experience at the University of British Columbia, the University of Calgary, Loughborough University, and the University of Queensland. My PhD focusses on the development of a next generation eBike which is integrated into a smart city. I graduated from Brunel University with a 1st class honours BSc in Product Design with Professional Practice in 2015 and after a year in industry I completed a 15 months MA in Interaction Design at Goldsmiths, University of London, graduating in December 2017. My PHD seeks to investigate using embedded sensors in mobile/wearable devices to provide customised navigation support and enhanced digital maps through crowdsourced information, in collaboration with Ordnance Survey. I intend to combine my design, electronics and coding skills with critical and speculative thinking and methods to produce works and writing that create debate around and explore design research and its outcomes. My supervisor are Tracy Ross, Dr Martin Maguire and Dr Posco Tso. I hold a MChem Chemistry degree from Loughborough University and graduated in July 2017. I have had two summer placements with Airbus where I was able to experience the industrial use of chemistry in a large engineering company. I am now working on understanding and optimising the synthesis of reactive acid chloride intermediates with Innospec in my current project. In 2015, I completed my BSc in mathematics at Coventry University. The degree had a large focus on mathematical modelling and programming, particularly in the areas of optimisation and dynamical systems. My final year project involved the historical developments of calculus of variations, a topic that builds the foundations for optimal control theory. Since then, I have been teaching mathematics while also completing a MA in educational innovation at the University of Warwick. My current project involves the evaluation of various numerical continuation codes, with the intention that the most beneficial can be applied to complement current IC engine calibration. I see the CDT-EI as an excellent opportunity to develop a wide range of skills and apply them to a challenging and ambitious real world problem. The project is sponsored by Jaguar Land Rover and is supervised primarily by Dr James Knowles and secondly Dr Byron Mason of Loughborough University. 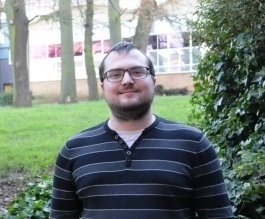 I graduated from Loughborough University in 2017 with a BEng in Electronics and Computer Systems Engineering before joining the CDT in Embedded Intelligence. The high level aims of the PhD project are to develop manufacturing processes to more efficiently produce cellular solid structures reinforced with carbon fibre. I completed an MSc in Biomedical engineering at Keele University in 2017 before joining the CDT in Embedded Intelligence. Additionally, I am a HCPC registered Paramedic. My current project aims to develop a robust and reliable wearable sensor integrating physiological and motion sensing, to keep the users’ health constantly monitored and supervised. The application for this device is across a broad spectrum of users from patients in mass casualty incidents to first responders, and exposed workers. The project is sponsored by INMM® S.r.l. (http://www.inmm.it/en/), and supervised by Professor Massimiliano Zecca and Dr Sijung Hu of Loughborough University. I graduated from Loughborough University with a first class degree in Mechanical Engineering (MEng). Towards the end of the course I was introduced to Prof. Andrew West and given a project on Energy Resource Monitoring, giving me experience of big data capture and analysis. In addition to this, the applications of energy monitoring in industry sparked an interest in the IoT and machine connectivity/intelligence. From this project, I was offered an opportunity to join the CDT-EI for a PhD. My current PhD is to explore methods for improving traceability throughout the supply chain, which will improve security for manufacturer and consumer goods during transport. In 2017, I graduated from Coventry University with 1st class honours in Electrical and Electronics Engineering. This sparked my interest in embedded electronics as well as digital control systems. My PhD aims to develop automobile powertrain controllers which can better adapt to changes in both the vehicle and the environment through the use of high performance computers. In 2010, I graduated with a Bachelor of Science (B.Sc.) in Degree in Statistics and Computer Science (Second Class Upper Division) from Federal University of Agriculture, Makurdi, Benue State, Nigeria. I then went onto work for agencies like BENSACA and Goft technologies as an Assistant Monitoring and Evaluation officer because of my interest in working with Data. 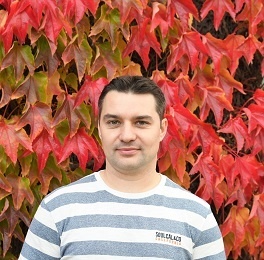 By September 2015, I obtained my Master Degree from Loughborough University (United Kingdom) in Advance Computer Science (with Distinction). During my Master degree program, I developed a Vehicle make and model recognition system using machine learning as the methodology. My Master Degree thesis was to develop an algorithm on Computer Aided Diagnosis on Total Hip-replacement Using X-ray Images. After my Master Degree Programme, I worked as a freelance I.T specialist. By 2017, I obtained a consulting position with VIPCG Corporate Development International Ltd. in Nigeria as an I.T Consultant. My Ph.D. overview is based on Hand-drawn Cognitive Systems, this project aims to develop a number of novel algorithms that are based on the latest development in the technical/scientific area of Deep Learning / Convolutional Neural Networks in recognising offline handwritten text and hand-drawn objects. Such information will therefore be used to gather intelligent information about the context in which a remote collaborative experience is being built. The intention is to use this novel technology to embed intelligence within modern and future interactive display surfaces and whiteboards. Using Distributed Ledger Technology (DLT) to support end-to-end visibility of a supply chain. I graduated from Southampton University with an MEng in Aerospace Engineering in 2002. Following this, I worked as a mechanical engineer at Babcock International, eventually specialising in structural stress analysis. This involved hand calculations and building Finite Element models. I enjoy working out how to simulate a real-life situation using software. I am interested in how data can be collected to improve processes, increase efficiency and create a permanent record of the life of a product. In 2018 I graduated first class from an integrated Master's degree in Automotive Engineering at Loughborough University. In support of my undergraduate studies I also undertook a year's placement at Caterpillar Industrial Power System's Division in Peterborough. The focus of my work was divided evenly between diesel engine validation planning/ reliability assessment and fuel system testing. This experience (combined with a Master's thesis in machine learning pattern recognition) has instilled in me an appreciation for the abundance and utility of data. In no sphere of engineering is this more apparent than Powertrain testing, which is frequently untargeted and cumulative, resulting in vast amounts of underutilised but highly relevant data. With this in mind, my research focuses upon the potential of data mining and statistical learning techniques for complex pattern recognition in automotive test data, with an additional focus upon using machine learning to augment non-linear system modelling. 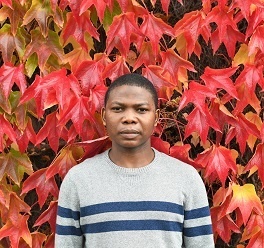 I attained my first-class BSc in Computer Science at Loughborough University in 2018. My final year project was focused on applying deep learning and computer vision methods to 2D sports data for the purpose of obtaining statistics and performance insights for further analysis. 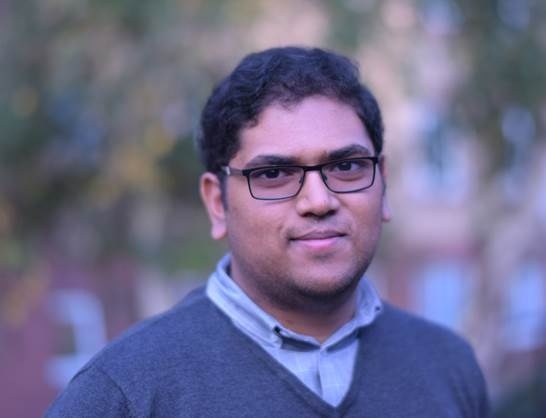 Before completing my degree, I worked as a freelance software developer and consultant working with companies in the financial sector to develop data management systems and improve data handling processes. In 2018 I started my PhD at Loughborough University continuing on from the work done during my final year project. My PhD focuses on human pose estimation and action recognition. 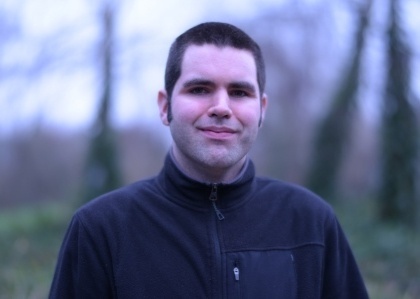 I completed my MEng in Computer Science at the University of Southampton in 2012 and moved on to work in London as a software developer. After a range of roles and global experiences I decided to return to my passion, research, at the university of Heriot-Watt. My project is investigating the extent by which autonomous robotic systems may be trusted, in terms of their reliability and safety. My goal is to create an algorithm to allow for greater confidence in a system’s dependable behaviour. The project is sponsored by Texo and is supervised by Dr. David Flynn. I studied measurement and control technology for the first three years of my undergraduate degree at Dalian Maritime University, China. 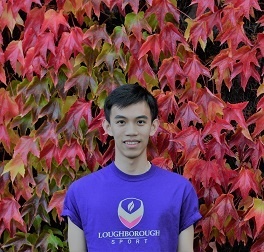 I spent the final year of my undergraduate degree studying computer science at Loughborough University as part of the China partnership program. 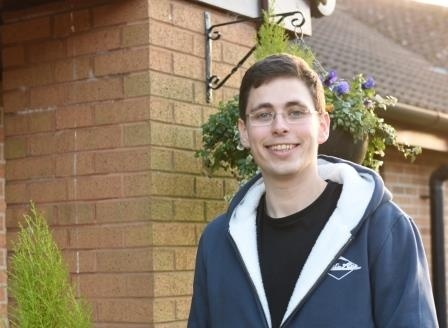 I then continued on to do my master’s degree in computer science at Loughborough and will now continue my PhD studies here. My motto is: when your knowledge and ability cannot support your ambition, go to learn please. 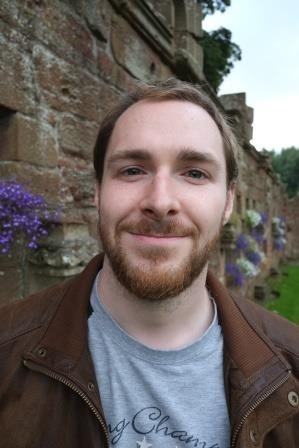 Matthew is currently a PhD Researcher as part of the CDT in Embedded Intelligence based at Heriot Watt University researching Prognostics and Health Management for Autonomous Systems. 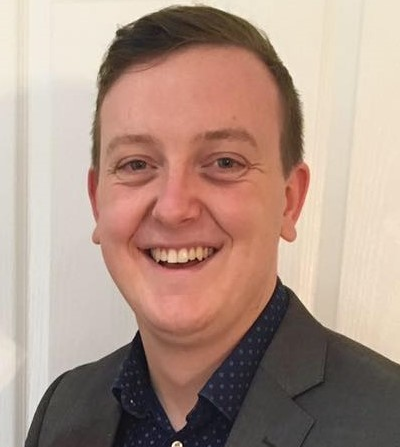 Prior to joining the Smart Systems Group at Heriot Watt University, Matthew has been working as a lead test and development engineer at Jaguar Land Rover developing the methodology and automation of vehicle aerodynamics and soiling tests. He holds an MSc in Aerospace Dynamics from Cranfield University and a BEng in Aerospace Engineering from Southampton University. 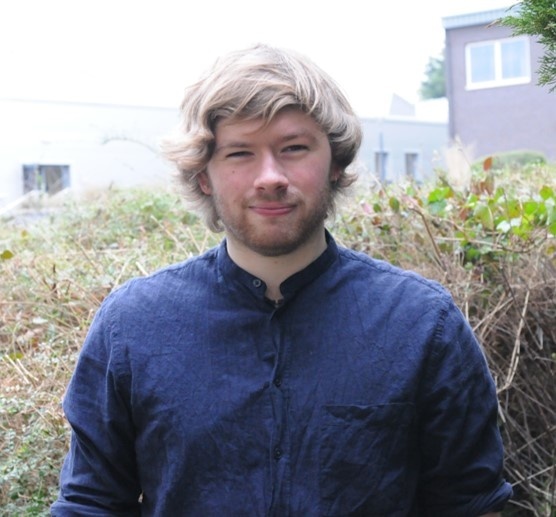 His PhD research project aims to understand best practice techniques for Prognostics and Health Management for autonomous systems and robots. The project is cosponsored by Texo DSI Ltd, who own and operate the world's most comprehensive and dynamic fleet of UAVs for aerial inspection and site surveys. I graduated from Ozyegin University in Turkey with BSc degree for Electrical and Electronics Engineering as well as minor degree for Computer Science in 2017. During my undergraduate years, my main focus was on Logic Design using FPGA. 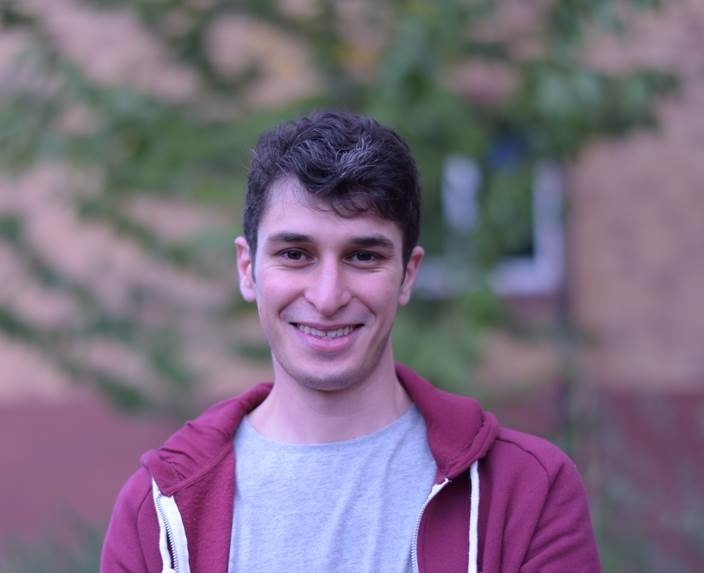 After BSc, I involved in a research group called nEMESysLab in Ozyegin University and worked on advanced logic design and design automation problems in computer vision and image/video processing, more specifically, High-Level Synthesis based Logic Design for Sub-Pixel Interpolation. The focus of my PhD research in Loughborough University is to develop a framework for implementation of CNN’s as a dedicated hardware. I received my Bachelor’s degree in Electrical Engineering in 2015 and my Master’s degree in Electrical Engineering in 2017 at the Federal University of Campina Grande, Brazil. 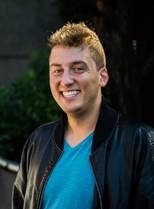 From 2013 to 2015 I worked as a research student at the Brazilian Government Program Brazil-IP developing IP-Cores for a Power Line Communication and acquiring experience with Design (SystemVerilog and SystemC) and Verification (UVM) of ASICs, also working with EDA tools from Cadence and Synopsys. I worked as a member of the Program of Excellence in Microelectronics (PEM) of the UFCG, generating digital content and attending classes for technical training in microelectronics. After completing my Master's degree, I accepted a PhD studentship sponsored by ARM Research. 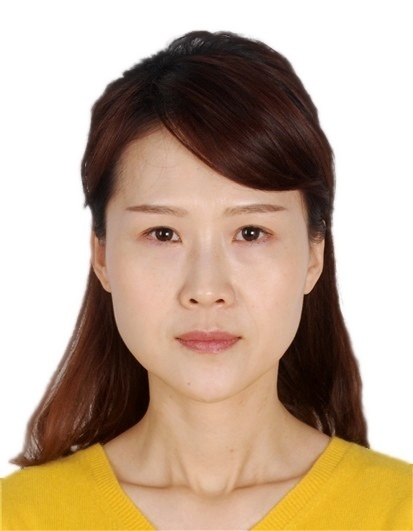 My research interests are Design and Verification of Digital Hardware and Electronic System Levels, Digital Signal Processing, Computer Vision and Machine Learning. 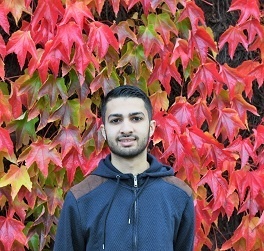 I began studying Electronic and Computer Systems Engineering at Loughborough University in 2012, however in the course of the first year I became increasingly interested in engineering design processes, design lifecycles and integration between systems. This led me to change course to Systems Engineering in 2013 where I gained a fundamental understanding of engineering process and design from a multi-disciplinary, holistic viewpoint - with secondary emphasis on the integration of mechatronic systems and control system design. This was cemented by an industrial placement working for the Requirements and Acceptance Team on the Type 26 Project at BAE Systems Naval Ships. I continued my studies at Loughborough University, finishing my masters in Systems Engineering, working to expand my knowledge of systems architectures, system modelling, design lifecycles, requirement capture and validation & verification. My masters thesis was titled ‘Proving the Concept of Dynamic Substructuring Using a One Degree of Freedom Ball-Balancing Beam’, which involved applying a novel method of hardware-in-loop (HiL) testing to a simple experimental rig. This involved designing and applying both PID and state-space control, and applying this to the Dynamic Substructure (DSS) architecture, in addition to systems modelling and model validation. My PhD is centred around physics-based modelling of powertrains and how they can be used in the vehicle design process. After attaining my bachelor's degree in Electrical and Electronics from University of Ilorin, Nigeria, I worked for Interplan Engineers and Consultants in Lagos, Nigeria for two years. 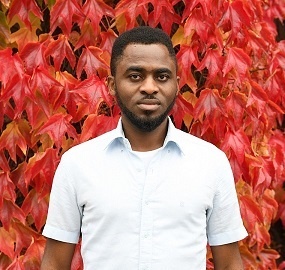 I was awarded the NITDA scholarship for my Masters degree, which was in Information and Process System Engineering at the University of Surrey. My final project was on the Integration of Hydrogen Production and Wastewater Treatment. During my Masters I worked with Cobbett Hill Earth Station where I gained hands-on experience on satellite communication and networking and I continued to work with them after completing my Masters. I am now undertkaing my PhD at Loughborough University in the School of Aeronautical and Automotive Engineering. My research involves solving the problem of accurate range estimation for hybrid powertrains. During his years as a competitive rower and in following amateur sport activities like Beach volleyball and Golf, Paul always used to keep one eye open for the technical analysis in the respective sport. 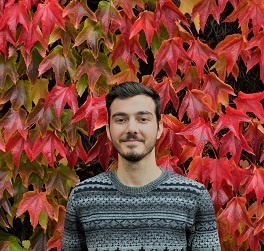 After graduating in BSc Physics at the Humboldt-Universität zu Berlin, he followed this passion and attended the MSc Sports Engineering course at the Chemnitz University of Technology. 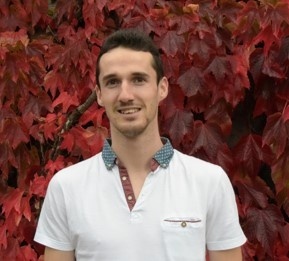 For his Master’s project, Paul spent half a year abroad at the Centre of Sports Engineering Research at the Sheffield Hallam University, optimising the performance in cricket batting using a wireless inertial sensor. Within his studies, Paul developed a particular interest in golf swing analyses. For his PhD, Paul is now aiming to integrate various measurement techniques into one system, that accurately and precisely obtains golfer and club dynamics during the entire golf swing. Lückemann, P.; Haid, D. M.; Brömel, P.; Schwanitz, S.; Maiwald, C. (2018). Validation of an Inertial Sensor System for Swing Analysis in Golf. Proceedings 2 (6), 246, doi:10.3390/proceedings2060246. Lückemann, P.; Curtis, D.; Odenwald, S. (2018). Effective momentum approach for optimising player-bat performance in Cricket. 12. Symposium der Sektion Sportinformatik und Sporttechnologie der Deutschen Vereinigung für Sportwissenschaft, spinfortec2018 Abstractband, p. 33-34. Design and development of supply chain neural networks using AI for reconfigurability and 5G for smart and secure communications. I graduated in 2018 with a 2.1 Masters Degree in Physics from Durham University with a strong focus in Matter Physics. My masters project involved using a microgranular gel as a printing medium/support structure for use in 3D printing. It was from this I found my interest in manufacturing. I completed my BSc degree in Cyber Engineering at Dalian University of Technology, China in 2017 with being offered an opportunity to study final year in Loughborough University. After that, I graduated from Loughborough University in 2018 with MSc degree in Internet Computing and Network Security. 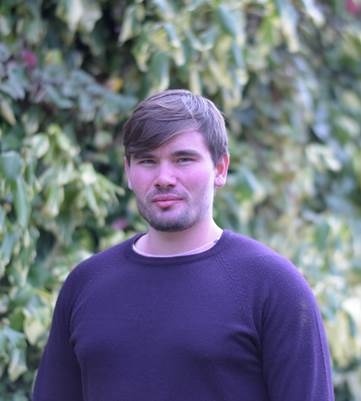 Both of my BSc and MSc projects focus on deep neural network applications, so my main research interests include embedded artificial intelligence, deep learning and underwater drones. The high level aims of my PhD project are to develop algorithms and software for enhancing the usability of underwater drones towards automation. These algorithms and software use latest technologies in Computer Vision, Artificial Intelligence and sensor fusion to achieve autonomous control for navigation and localisation tasks. I competed my BEng in Electrical and Electronic Engineering at Heriot Watt University in 2018. During this degree I undertook a project involving wireless power transfer. This is where my interest in antennas began. My current research interests are in antenna design particularly around antenna arrays. In the past I have explored substrate integrated waveguide antennas. I gained my masters degree in Electrical System Control and Information Technology at Southwest Jiaotong University, China in 2007. My interest in doing a PhD in Loughborough University was down to visiting Loughborough University as an academic visitor in 2016. My background is electrical engineering for buildings. Till now, I have been worked in School of Architecture & Design, Southwest Jiaotong University, China as an Associate Professor for many years. My previous research areas were most of Energy Conservation Technology for Buildings, Electrical System Control and Information Technology, Intelligent Building Technology. I have ten years of university teaching and experience in undertaking research. I am looking to improve my knowledge and therefore help my students at my university. 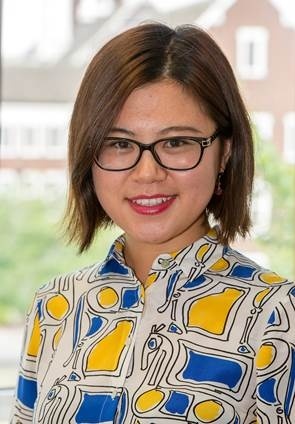 "I now have a good experience working companies and some of my research has been adopted and is being progressed in these organisations, which is very rewarding"
“The first year in CDT-EI is very helpful and exciting. I really enjoyed the study and training provided."